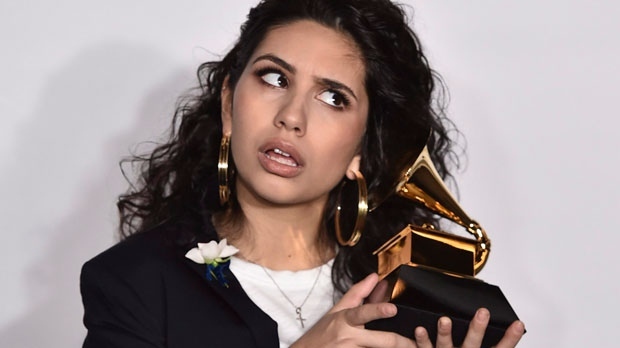 TORONTO -- Alessia Cara has made a sudden return to social media saying she doesn't want nasty comments to sway her from interacting with fans. The 22-year-old singer from Brampton, Ont., posted on her Twitter account late Wednesday, calling her brief exit from the platform the "shortest break ever." Little more than a day earlier the Grammy-winning pop artist announced she was taking a break from both Twitter and Instagram, saying she needed "some time away" from the sometimes vicious messages sent to her by strangers. But Cara's exit was brief, which she acknowledged is partly because her new album "The Pains of Growing" is due for release on Friday. "It wouldn't be fair to leave you guys hanging during album time," Cara wrote to her fans on Twitter. "You've always showed up for me and I want to show up for you, not let this period be tainted by my sensitivity toward hits to my ego. I want to set a better example than that." "I'm taking my own steps to navigate this weird thing called the internet in hopes that I can maintain a healthier, more positive environment for both me and you. I hope you do the same," she added.